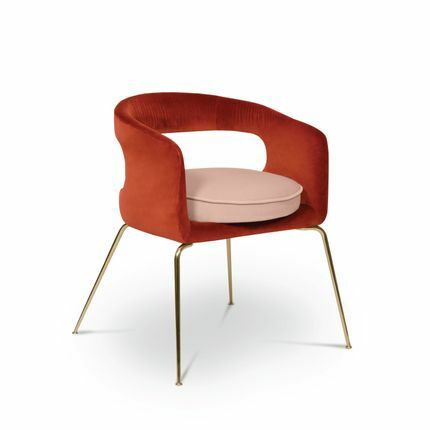 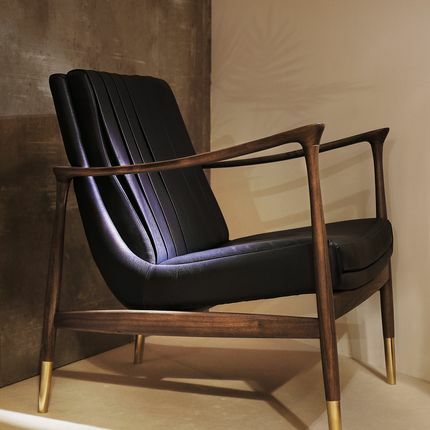 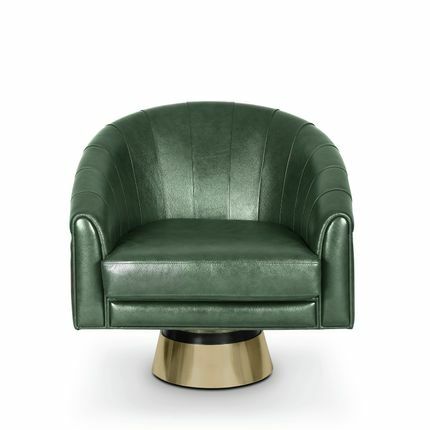 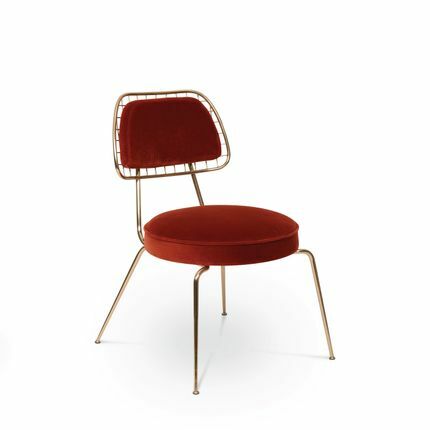 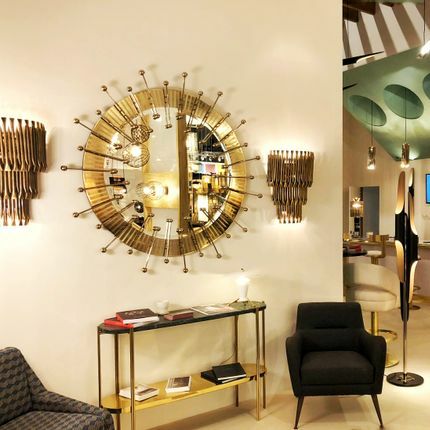 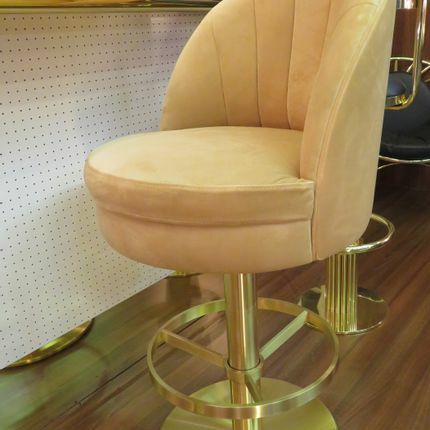 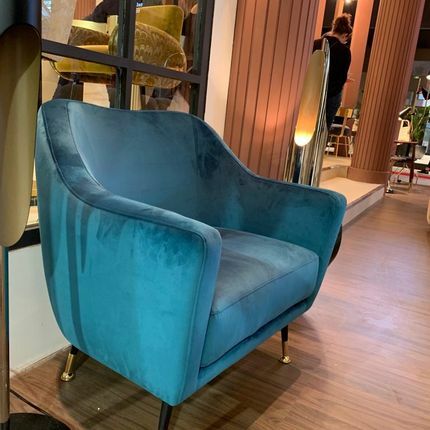 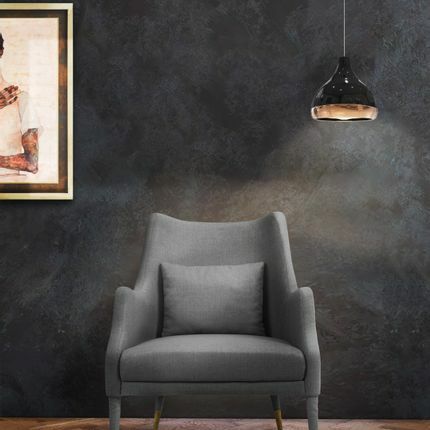 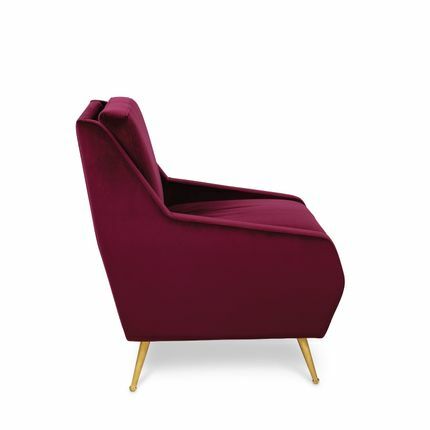 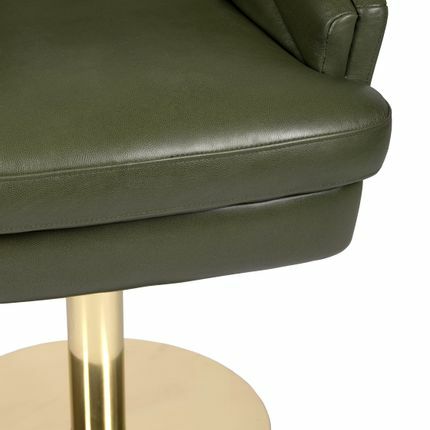 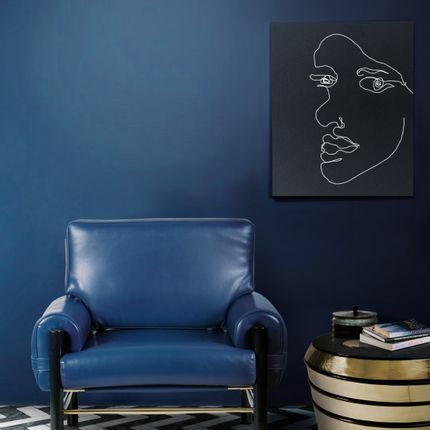 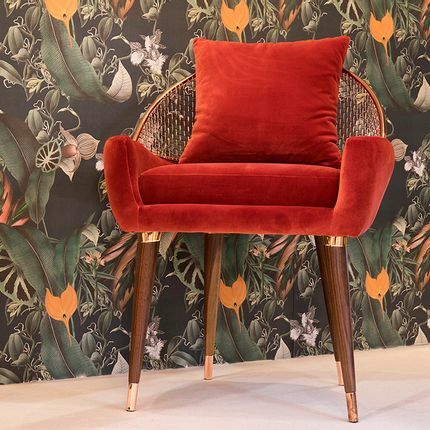 Inspired by the mid-century retro designs, Loren armchair has a swivel golden brass base and it is upholstered in a leather. 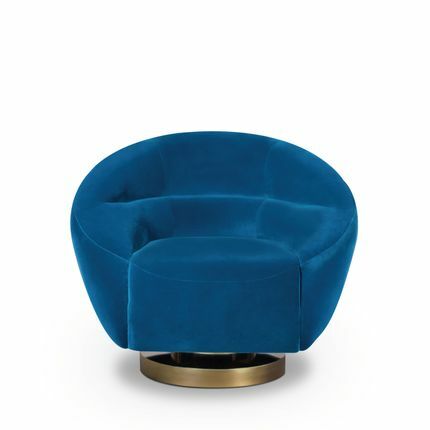 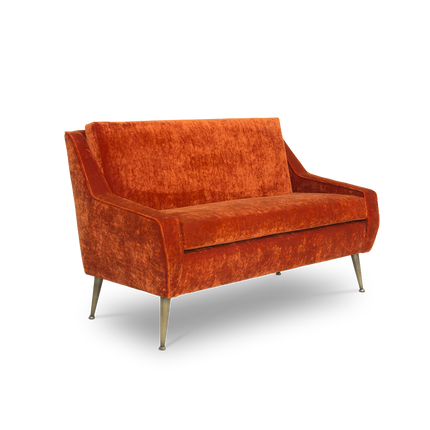 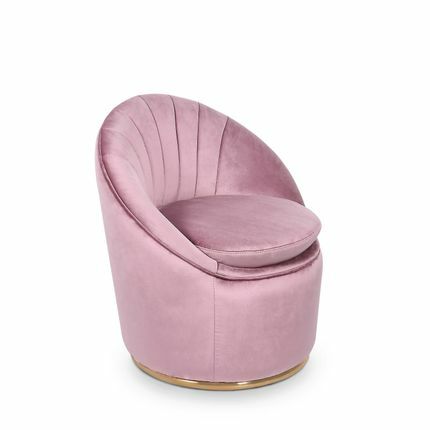 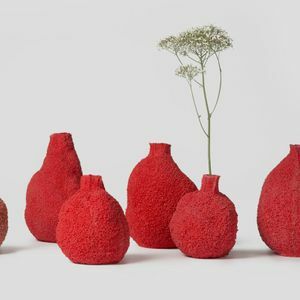 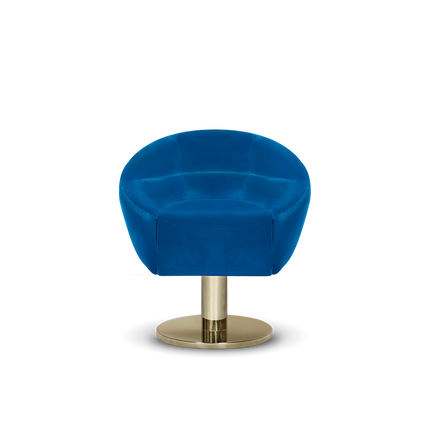 Due to its low back, it can be used both as a club chair or a living room chair. 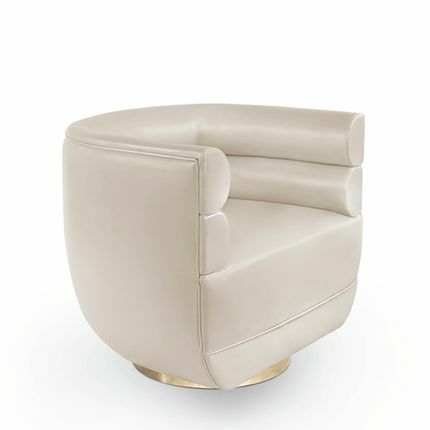 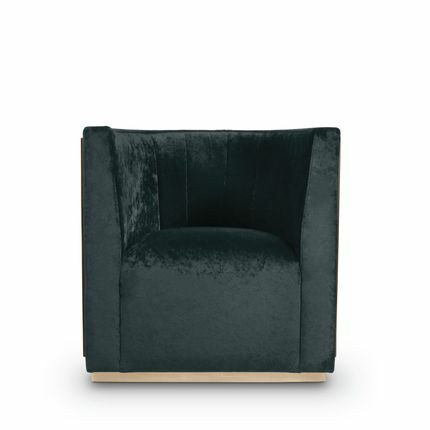 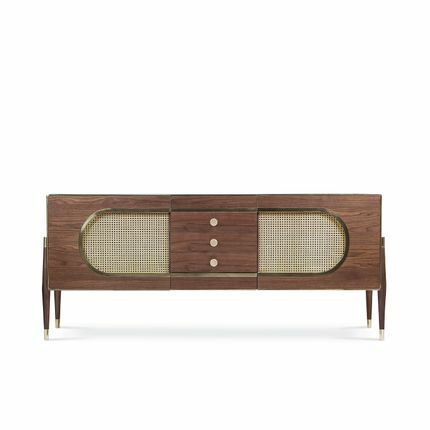 The compact and curved look, along with its rolled arms, give Loren a simple and sophisticated appearance .